searching for Online information. Foreign exchange as its being traded across the globe and as rates are fluctuating depending on various market factors, there is no ideal platform other than online to know about forex rates. In line with global changing or habit changing innovations, we are finding number of people transacting online for buying and selling their services is going up on a day to day basis. 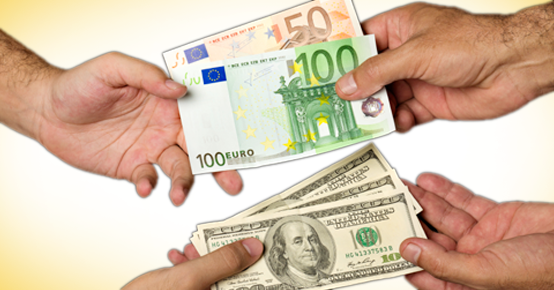 Foreign Exchange transactions too is getting into online across India. An emerging market like India, which is having the most active young internet users & many first generations travellers across the country who are going abroad to work, for leisure and business purpose, foreign exchange as a business is booming. As many travellers are first timers, they do prefer to take foreign currencies as they feel its better to have physical currency for comfort. We at Orient Exchange cater to these young travellers or first-time travellers through our online Money Exchange portal which is user friendly in rates and offer transparency in dealings. Our online platform is good as a physical shop for foreign exchange purchase or sales. Orient exchange comes with a global experience of 95 years in UAE, providing currency exchange services to the expat community. We at India gained from that global experience and taking our price advantage from Dubai and share it with our customers in India. We can assure you the best forex rates and services when you deal with us through online. Reserve Bank of India has licensed handpicked entities with Authorised dealer category licence to deal in foreign exchange. We being pioneers in Money exchange business in Dubai is one among the very few to have this licence. We have 23 branches across India in select 20 cities catering to Foreign exchange conversion, Travel card (Forex card) & Outward remittance (Send money abroad). We also sell travel insurance policy, which will take care of medical emergencies through our branches. As our tag line goes “Service is our priority’’, We assure the best of sales experience in online platform and at our branches too. We have the best in business online gateways which will ensure smooth and secured transactions for customers and us an organisation. Orient exchange comes with a global experience of 95 years in UAE, providing Money Exchange services to the expat community. We at India gained from that global experience and taking our price advantage from Dubai and share it with our customers in India. We can assure you the best forex rates and services when you deal with us through online. We have the best in business online gateways which will ensure smooth and secured transactions for customers and us as an organisation.